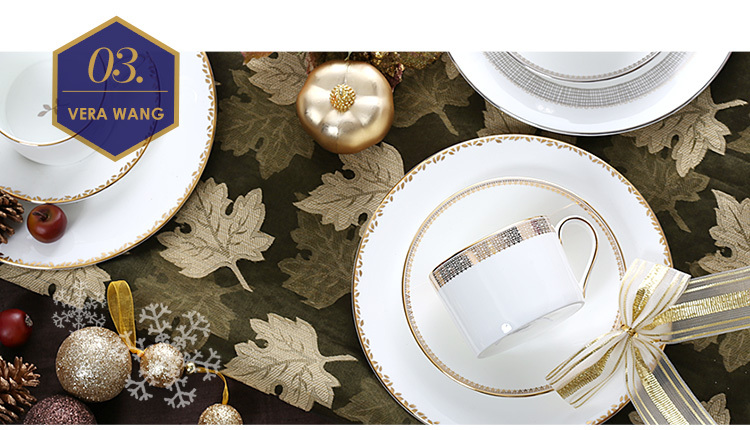 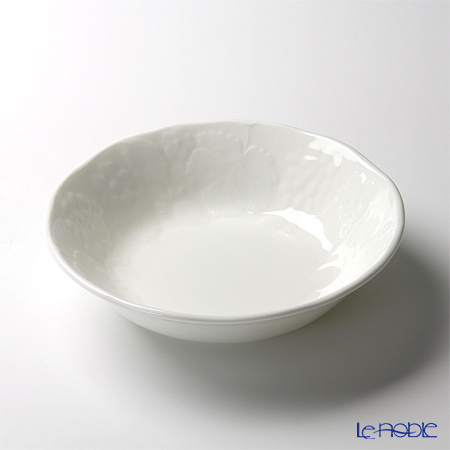 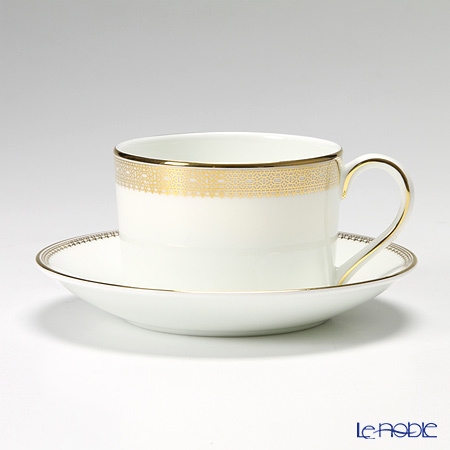 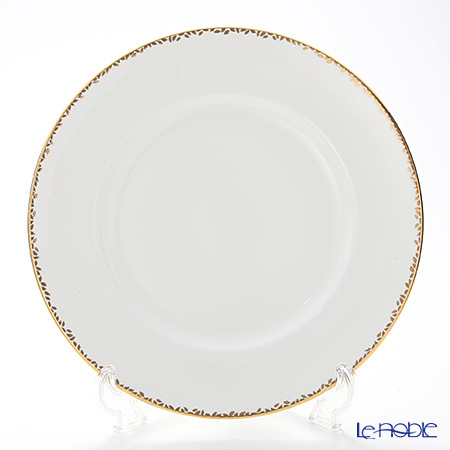 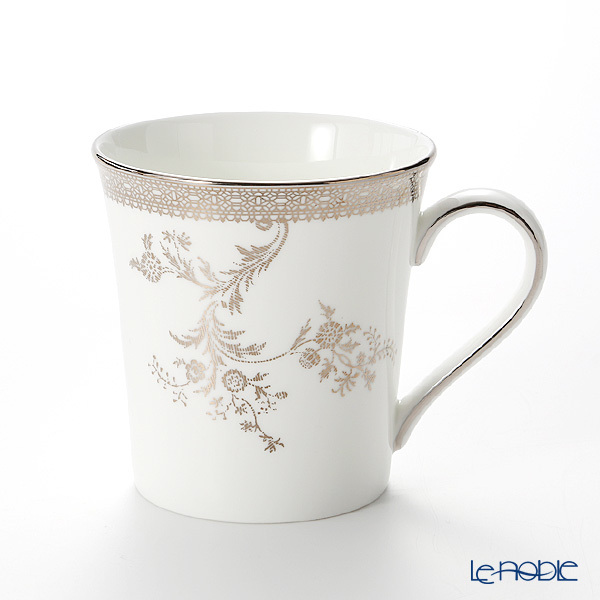 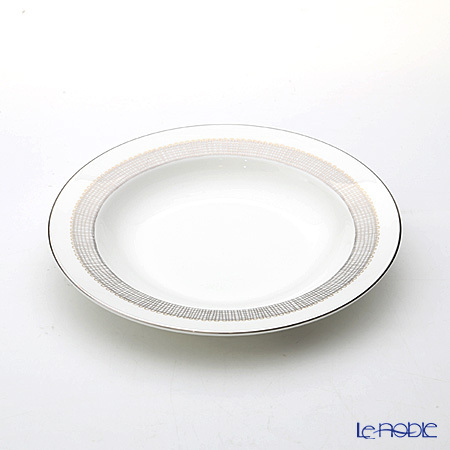 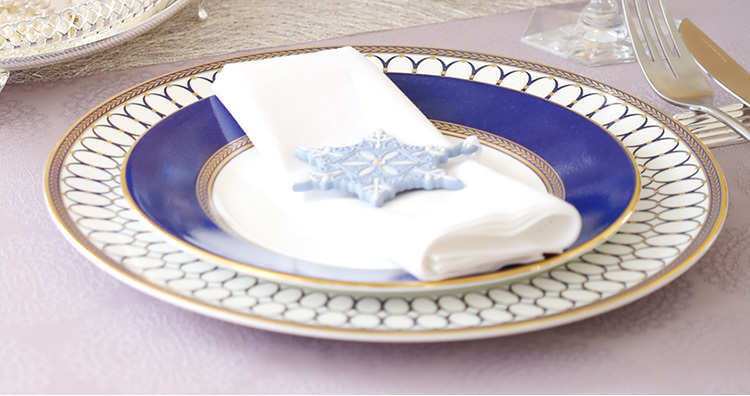 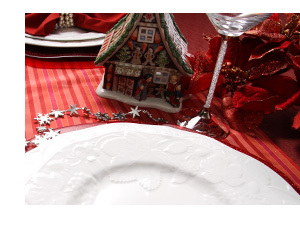 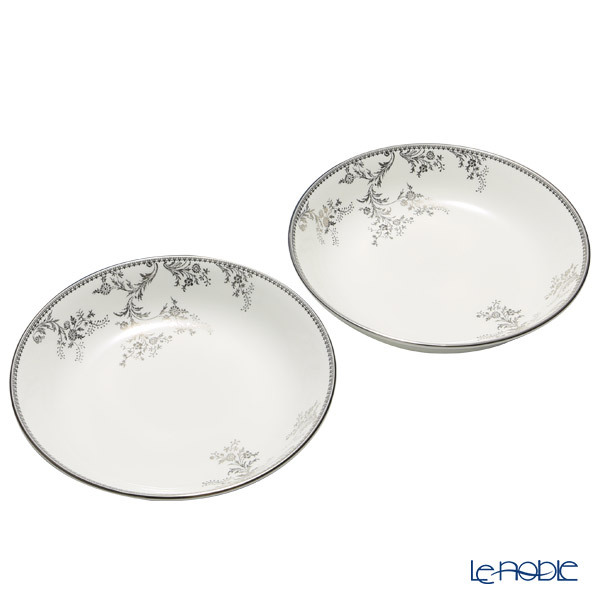 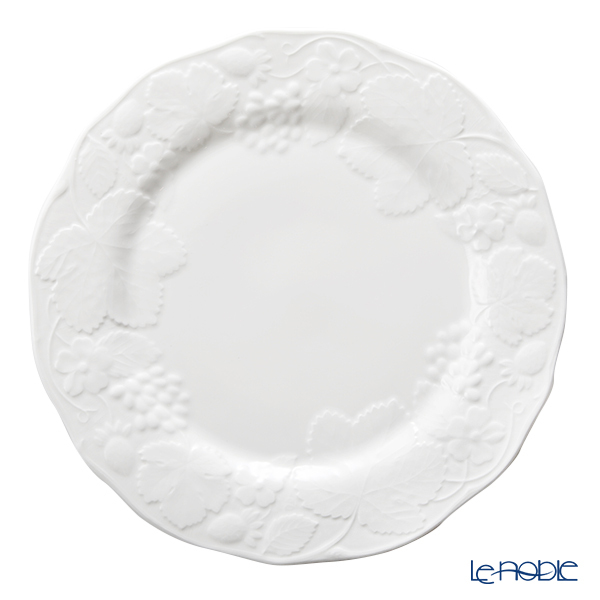 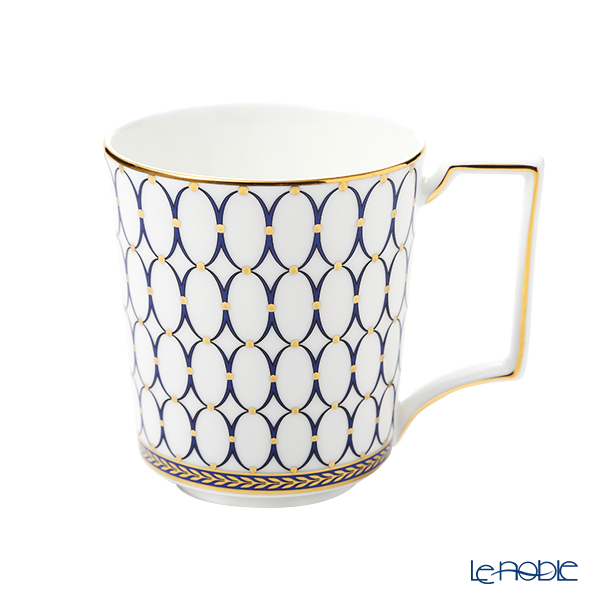 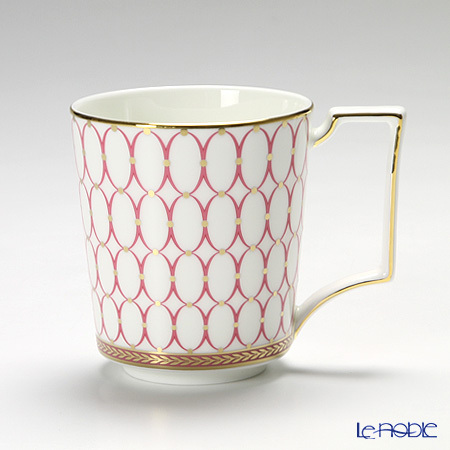 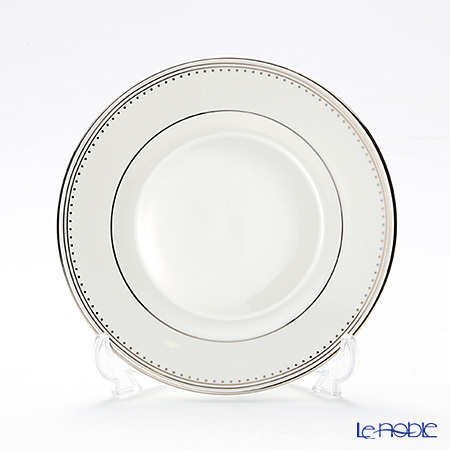 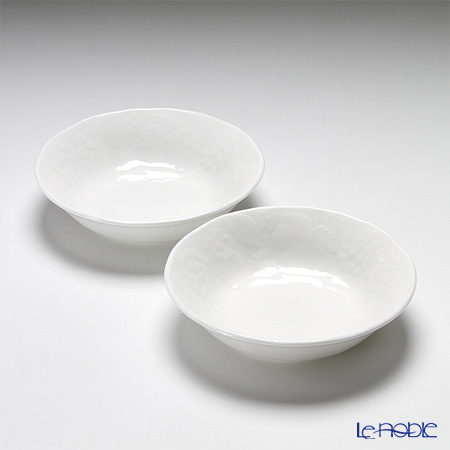 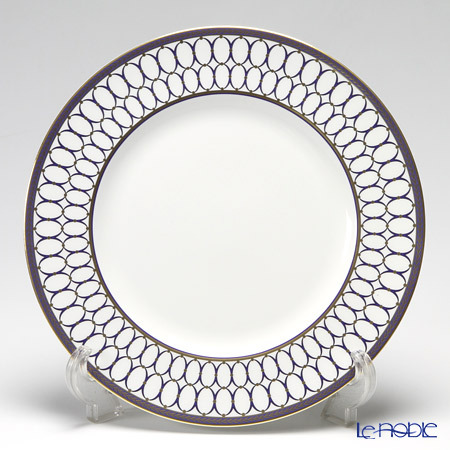 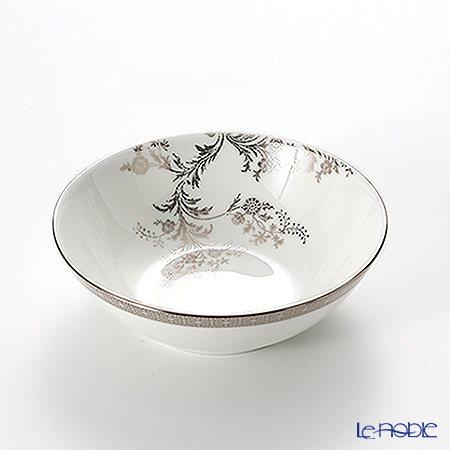 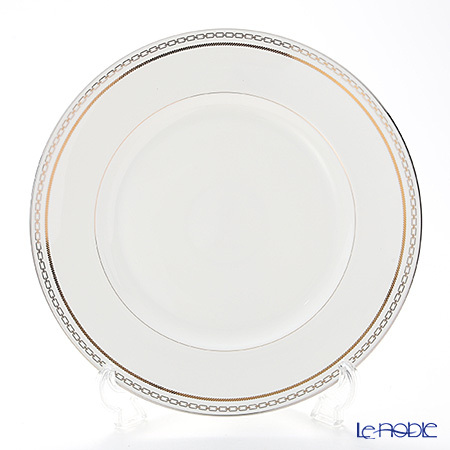 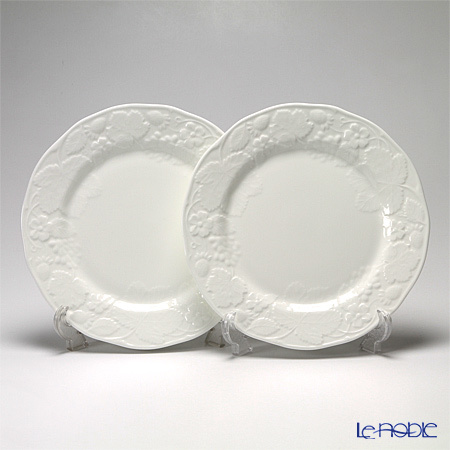 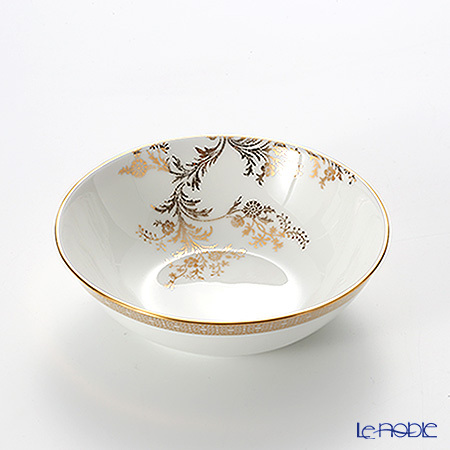 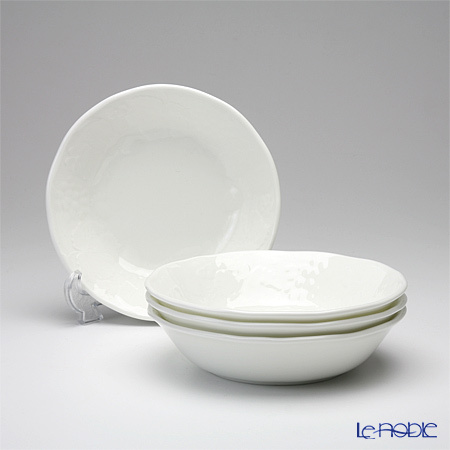 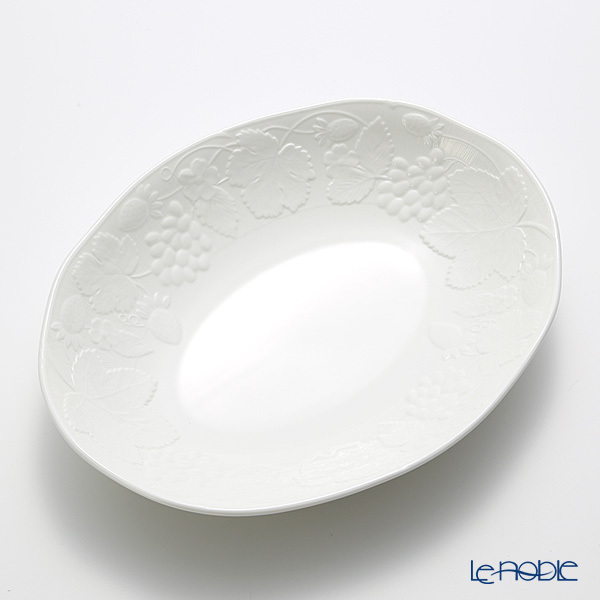 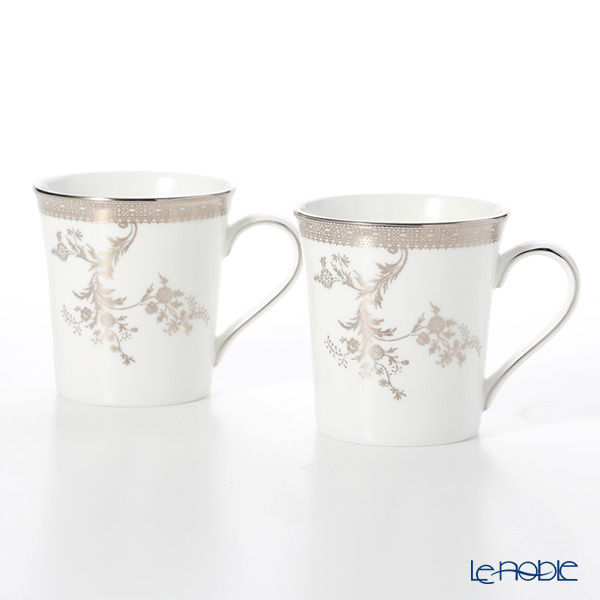 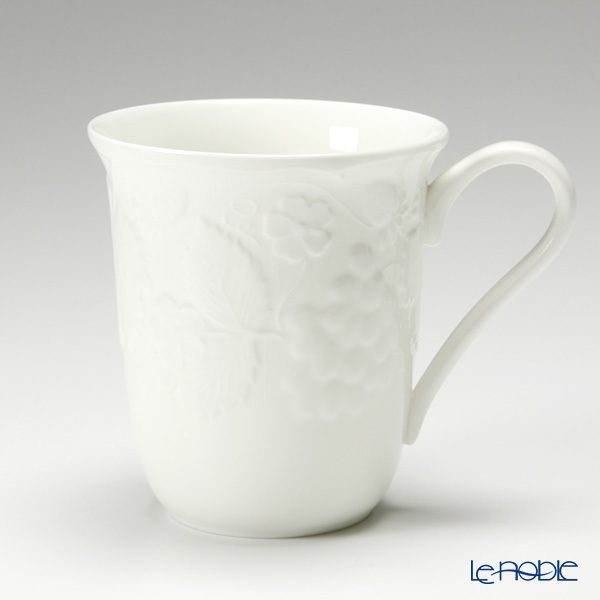 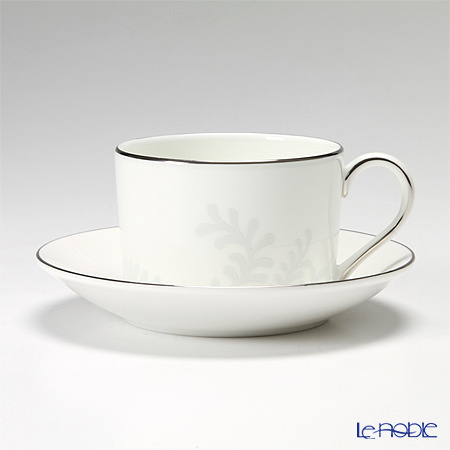 Le noble - Welcome to the Christmas world of Wedgwood! 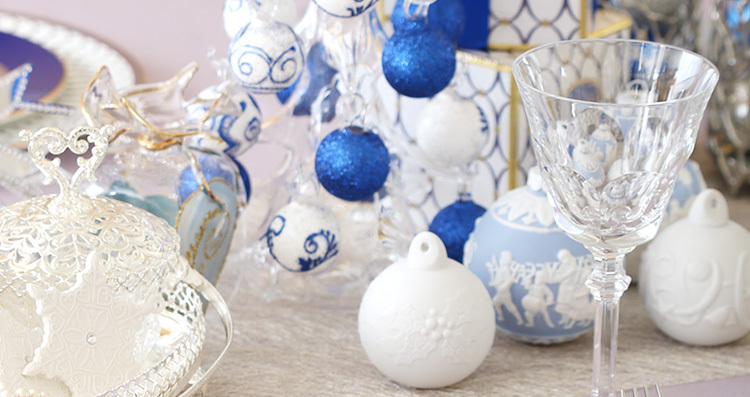 Christmas 2016 is inspired by Wedgwood's iconic Jasper imagery and exemplary archive designs. 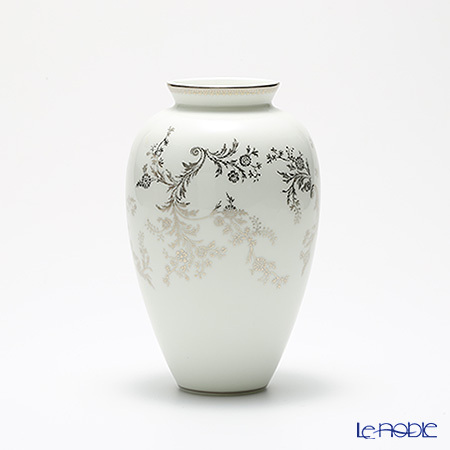 These exquisite decorations are perfect family heirlooms that can be brought out year after year and passed from generation to generation. 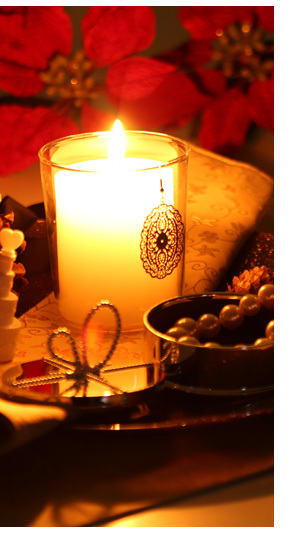 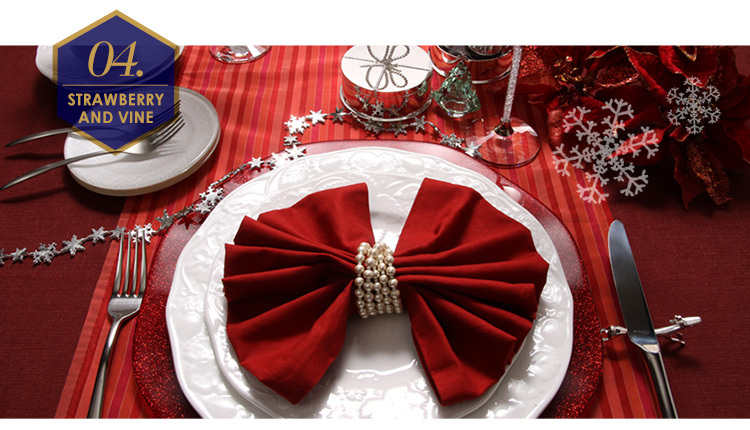 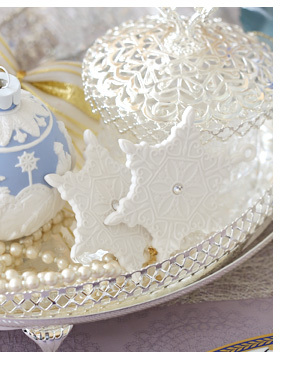 Wedgwood Christmas Decorations are guaranteed to ensure that any Christmas tree is looking its stylish best. 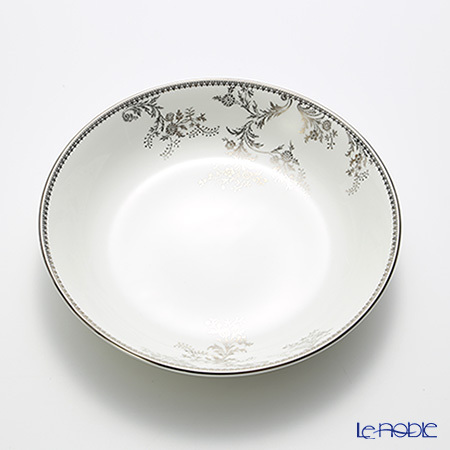 This stunning and ornate dinnerware pattern was inspired by decorative motifs used by Scottish neoclassical architect and designer Robert Adam, showcased on the pure oval forms of the Wedgwood archive cameo. 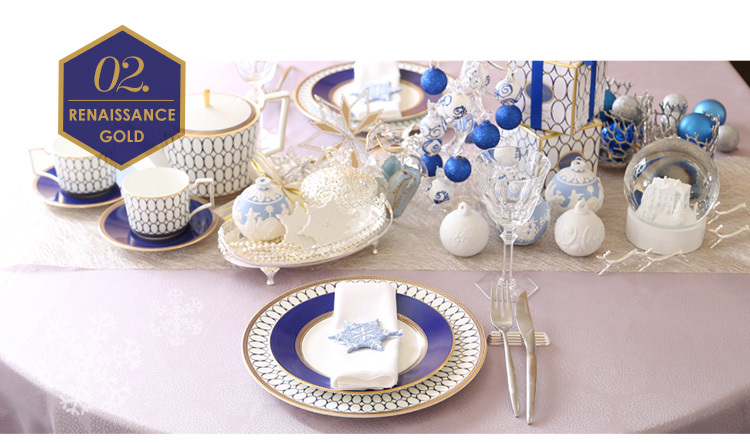 This 5-Piece Place Setting includes everything needed for one guest's full dinner service; three beautiful fine china plates and a cup with saucer; all rendered in a bold Wedgwood blue finish and decorated with intricate gilded detailing and a neoclassical laurel border inspired by patterns from the Wedgwood archives. 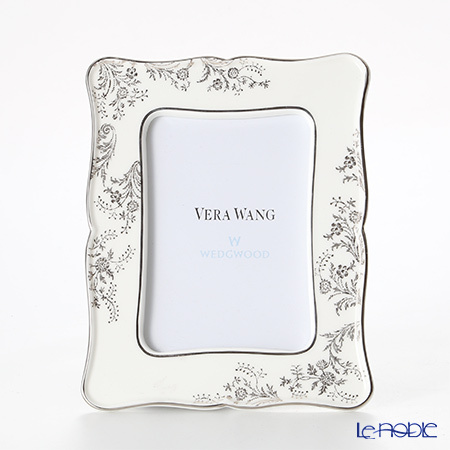 Vera Wang, a name synonymous with bridal couture and elegant romantic fashion design, is not confined to women’s wear alone. 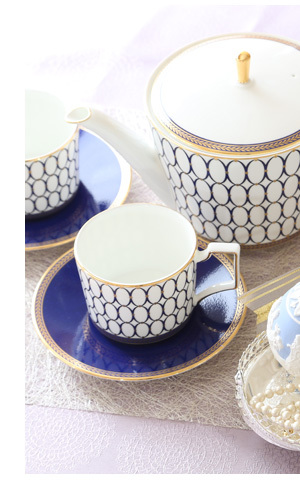 The Vera Wang touch has been added to a stunning collection in an exclusive collaboration with Wedgwood to create a range of fine bone china dining ware and stylish silver gifts. 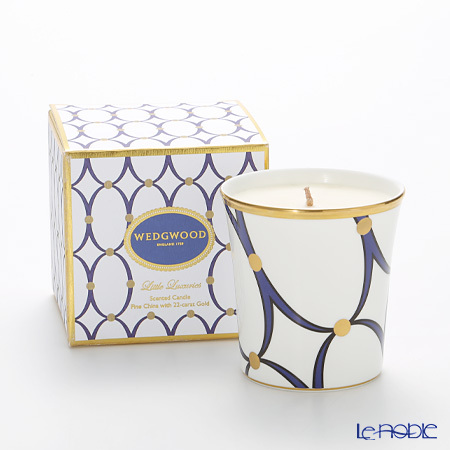 Every range must always personify her sense of style, her lifelong love of fashion, and must celebrate the romance, sensuality and spirit of modern youth. 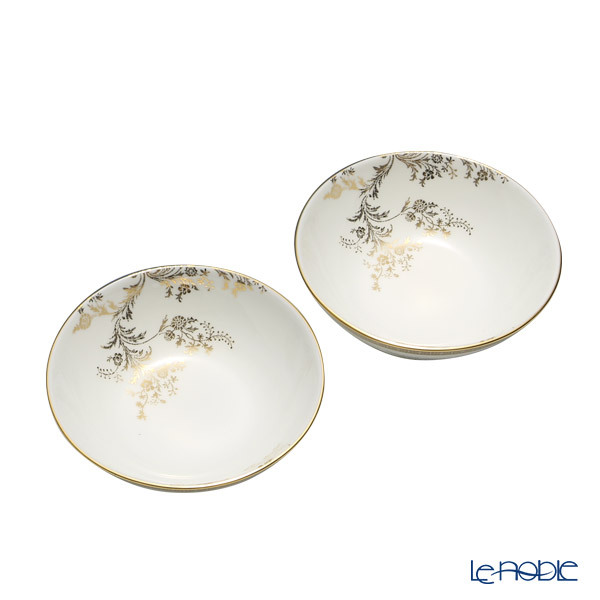 A fusion of tradition and beauty with a contemporary edge, the Vera Wang collection is as whimsical as it is practical, and confident as it is graceful. 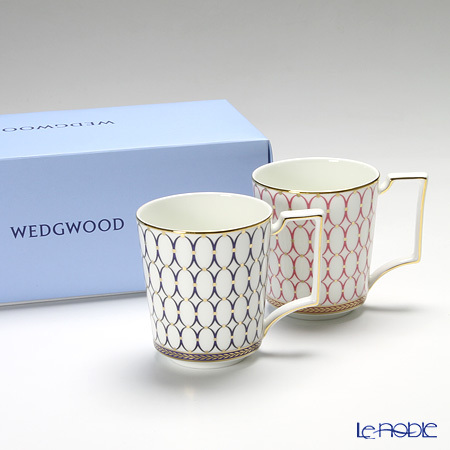 Introduced in 1992 and featuring a distinctive embossed shape, Wedgwood Strawberry and Vine has been discontinued since the mid 2000s.